Sara Giest is a PhD candidate at Simon Fraser University, Vancouver, in the Department of Political Science. She holds an MA in Society, Science and Technology Studies from Aalborg and Lund University followed by a completion of an MA at Bonn University in the field of Political Science. Her research focuses on the effectiveness of network management for cluster development and policies. As a research assistant she is looking at the use of place-based tools in climate change networks in cooperation with the Pacific Institute for Climate Solutions (pics). Barry Gough, PhD, DLit, is a private scholar living in Victoria, BC. Author of histories and biographies dating from his The Royal Navy and the Northwest Coast of North America, 1810-1914: A Study of British Maritime Ascendancy, which inaugurated UBC Press in 1971, his most recent book is Juan de Fuca’s Strait: Voyages in the Waterway of Forgotten Dreams (Harbour 2012). 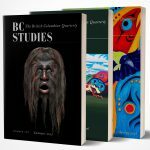 He prepared the historical claims dossier for the Nuu-chah-nulth Tribal Council in the Meares Island case Moses Marting et al. v. H.M. the Queen et al. He is Emeritus Professor of History, Wilfrid Laurier University. Michael Howlett (Professor) BSocSci. (Hon)(Ott), MA(Br Col), PhD (Queen’s) is Burnaby Mountain Chair in the Department of Political Science at Simon Fraser University and Yong Pung How Chair Professor in the Lee Kuan Yew School of Public Policy at the National University of Singapore. He specializes in public policy analysis, political economy, and resource and environmental policy. He is the author of Canadian Public Policy (2013) and Designing Public Policy (2011), and coauthor of The Public Policy Primer (2010), and Integrated Policymaking for Sustainable Development (2009), among other books. Ian Pooley is an Okanagan historian. He recently published a study in the Okanagan Historical Society 76th Report on early railway barge transportation in the Okanagan and is currently working on a project on Okanagan social history. Richard Rajala is an associate professor of History at the University of Victoria where he teaches British Columbia, Canadian, and environmental history. His current research focus is on the history of tourism in Vancouver Island resource-dependent communities.